Display 25 gift cards each pocket, up to 75 cards in total. 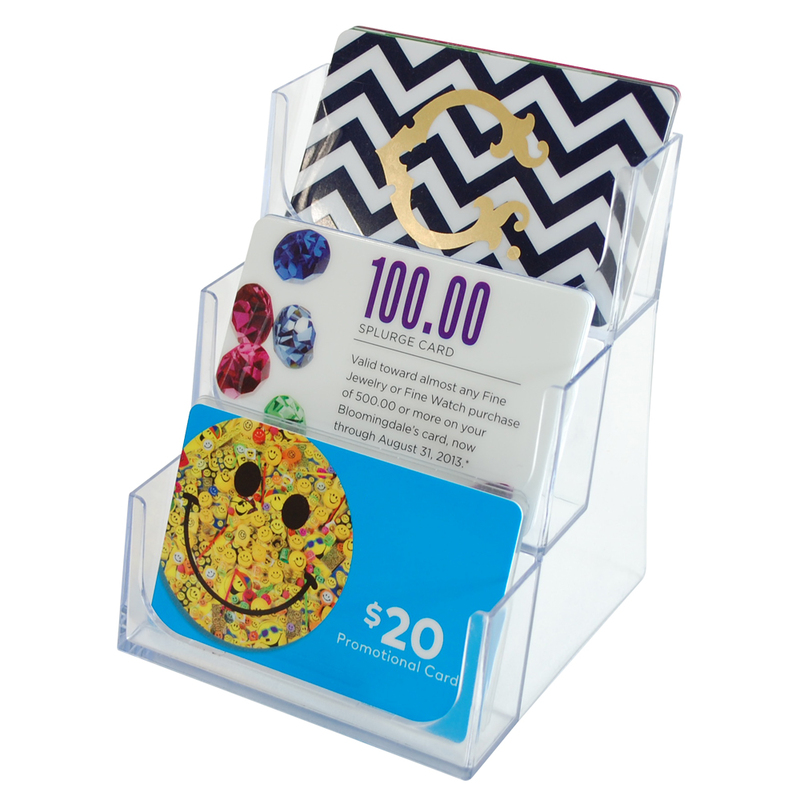 Place it by the cash register for easy customer access and to promote the sale of gift cards. Each pocket measures at 3.5" W x 1.4" H x 0.7" D, fits with most standard size Gift Cards. Include one set of adopters for use on Slatwall, Gridwall, and Pegboard.